This is the home of Triumph, where you'll get the full story in our unique immersive visitor experience. 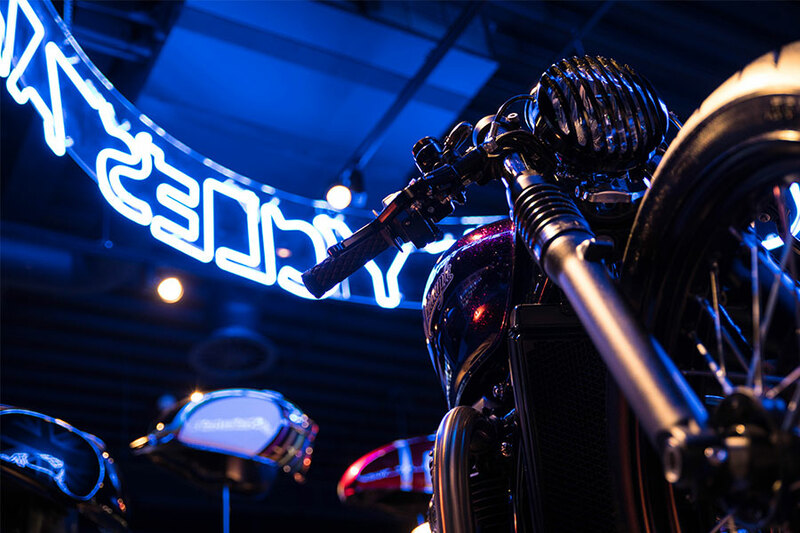 It's here that you'll see how we make motorcycles, get up close to some of the most iconic Triumphs of all time, and enjoy a priceless collection of motorcycle memorabilia brought together exclusively for our visitors. As well as showcasing legendary iconic motorcycles from Triumph’s long and impressive history, this free Triumph exhibition also highlights the amazing engineering technology that makes Triumph the world-class motorcycle manufacturer that it is today. 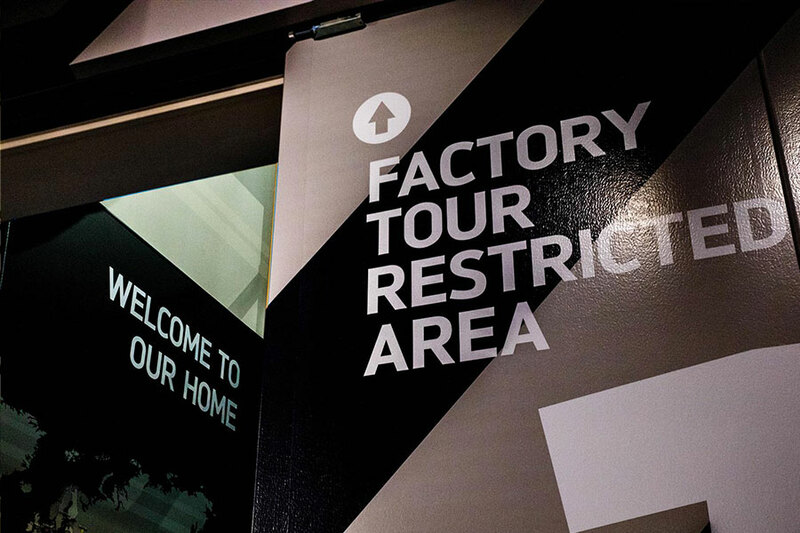 So much more than just a motorcycle museum, the Triumph Factory Visitor Experience tells the whole story of why people ride by bringing together a spectacular collection of historic and modern achievements in motorcycle design, engineering, racing and popular culture. 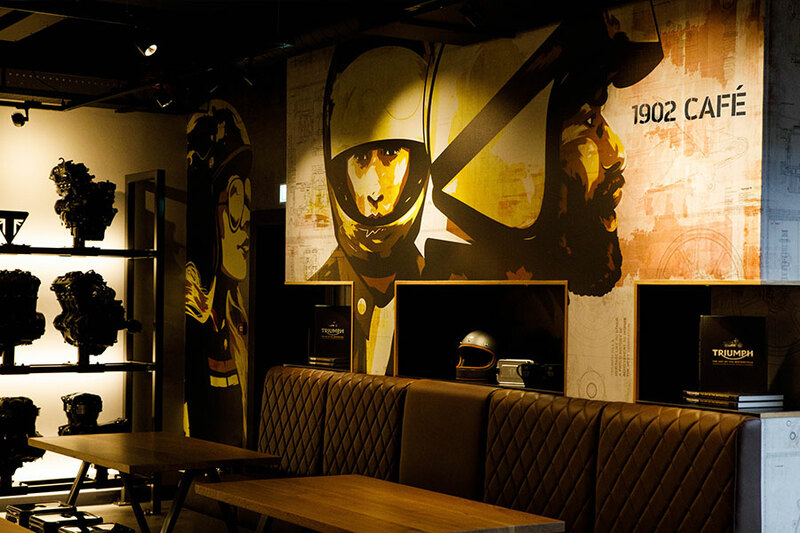 Enjoy a relaxing break from the road among stylish surroundings with a warm Triumph welcome, free wi-fi, and a delicious selection of hot and cold refreshments. PLEASE NOTE: our Factory Tours are very popular and sell out quickly, so if you can’t find a date now please check back again later as we release new availability regularly. We are also able to arrange group bookings; please call 01733 223 444 to find out more.